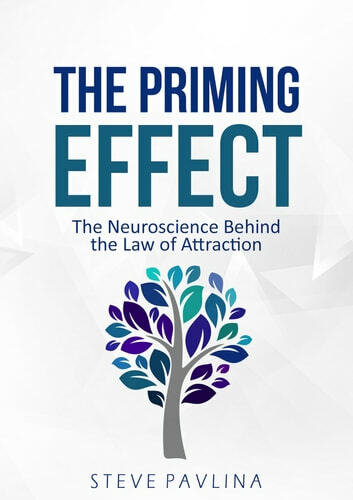 In The Priming Effect, bestselling author Steve Pavlina explores the manifestation process that permeates the neuroscience and Law of Attraction circles, and how together, the subtle influences of your life affect you more than you can even imagine. 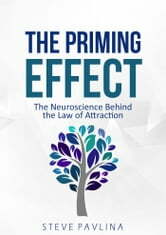 "This priming effect works [...] and its influence is usually subtle and unconscious. I guarantee that it’s operating in your life right now." For the past two years, I’ve taken a strong interest in learning more about how the brain works. I’ve done a lot of reading and a lot of experimenting. Most of that hasn’t made it into my blog yet. There’s just way too much to blog about, and at this point I’ve been so much more inspired to explore it than to try to explain it piece by piece. I do want to share it though, but plain text isn’t the right medium. It’s better to share these ideas experientially and in person. Within any field, like personal development, there’s a tendency for group-think to take effect, where everyone settles into patterns of re-sharing the same ideas in different forms. The Law of Attraction is a good example. How many Law of Attraction coaches came online after the movie The Secret? I must have encountered hundreds! I wanted to branch out into a related but significantly different field and go looking for gems. I figured that if I understood more about the structure of the human brain, how it processes and stores information, how it thinks, and more, I could surely find some ideas that could be transplanted to the field of personal growth to help people get practical results — and of course to create new breakthroughs for myself as well. I especially wanted to look for ideas that are not so common already in this field but which are known and proven to be very powerful, as studied in other fields. The priming effect presents us with some enormous opportunities for personal growth. By exerting some control over our priming influences — which may involve just a few small changes that can be made within a minute or two — we can create a permanent and lasting improvement in different facets of our lives. Resistance is Feudal: Modernize Your Mind to Manifest Like a Mofo!